ROCKLAND — Principal Michelle Scheufele is pleased to share that Jefferson Elementary School held its 8th Annual Wax Museum event last week. On Friday, April 5, second grade students at Jefferson Elementary gathered in the gymnasium to give one-minute presentations on various historic figures to school officials, family, and fellow students. The event is spearheaded each year by second grade teacher Pam Sheridan. Kristin Killion, a student teacher at Jefferson Elementary, also helped organize this year’s wax museum. Second grade teachers Kathy Sullivan and Renai Gildea also supported the event by helping their students prepare their presentations. Visitors to the event pressed a homemade button in front of each student “wax figure” that read “press me.” After the button was pressed, each student would begin their one-minute speech summarizing their research on their historic figure. Historic figures students researched and dressed as included Rosa Parks, Amelia Earhart, Jackie Robinson, Albert Einstein, George Washington, Ben Franklin, Neil Armstrong, Michelle Obama, and Helen Keller. ROCKLAND — Family night events at Jefferson Elementary frequently attract parents, guardians, caretakers and siblings to the school to learn about their student’s studies, but it wasn’t always that way. In fact, it wasn’t until recently that these events began attracting more than 100 families. Since Principal Michelle Scheufele took on her role four years ago, she has worked in conjunction with school staff and the Parent Advisory Council to expand family engagement at after school events and has developed a series of annual gatherings that closely tether families to their student’s academic lives. The school held its first Literacy Night in May 2015 when Principal Scheufele was an intern principal, and the event only attracted approximately 30 families. Since then, Principal Scheufele has worked to incorporate interactive, exciting activities leading up to and during events to encourage attendance, sometimes including school day visits from authors and raffles featuring signed books. Approximately 120 families visited last year’s Literacy Event. The school has also started to hold more events in recent years, including the annual Family Math Night in November and Family Science Night in February. Each event features fun activities including book fairs and raffles. To attract more families to these events, the school also puts student work and projects on display, and features educational games students have learned in class that parents can practice at home to support their child’s math, science and reading skills. The school’s annual open house has been changed in recent years into an interactive event as well. At the annual open house, parents visit their student’s classrooms and meet staff members, instead of listening to a speech from the principal as was customary in prior years. “I’d like to thank our teachers and staff at Jefferson Elementary, as well as the Parent Advisory Council for providing so much support for these events as we continue to encourage families to attend, have fun, and support student learning after school,” Principal Scheufele said. ALICE Parent Night: March 25, 6-7 p.m., parents are invited to attend an informational event about the ALICE school safety program. MCAS Parent Information Night: April 3, 6-7 p.m.
Jefferson Ice Cream Truck and Raffle: April 26, 6:30-8 p.m.
Book Fair and Family Literacy Night: May 8, 6-7 p.m. Throughout March, Jefferson staff are reading to students on the “Jefferson Elementary School Reads” Facebook Page through Facebook live on Monday through Thursday nights at 7:30 p.m. Principal Scheufele will continue to read on Facebook Life every Wednesday night at 7:30 p.m. for the remainder of the school year. 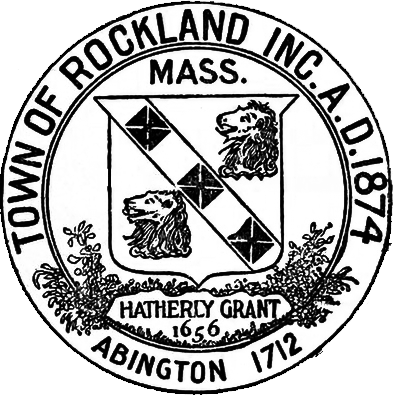 ROCKLAND — Principal Elizabeth Bohn is pleased to announce that several Rogers Middle School students recently participated in a regional math tournament, testing their individual math skills and ability to problem solve as a group. The South Shore Middle School Math Tournament 2019 was held at Hanover Middle School on March 13 and featured students from Rockland, Norwell, Hanover, Hanson, Pembroke and Scituate. The 10 students that make up the RMS Math Team are: Sydney Blaney, Emma Cameron, Maheen Chowdhury, Esabella DeFilippo, Sarah Donnelly, Cailey Larouco, Manual Marin, Lexie McKenna, Vivian Nguyen and Emma Radzik. The team also features five alternates, who have worked hard this year and stand ready to jump in, if needed. The alternates are Evan Girouard, Gavin Mattos, Lina Nassif, Fiona Overstreet and Tyler Williams. The tournament featured an individual round where students worked on their own to solve 10 questions in 30 minutes. In another activity, students split into groups of five and worked together to solve problems. All of the work had to be done without a calculator. The purpose of the tournament was to bring students from the communities together for a friendly math event that included collaboration and problem solving. It was an opportunity for students who love math to be recognized for their talent and represent their school. From left to right: Front row–Crystal Arena, Lydia McWilliams, Josie Hatch, Amaia Suero, Kaili Hill. Back row–Emmy Kelley, Sarah Pollard, Kayleigh O’Regan, Julie DeLima, Jordan Delorey, Jailene Escalera. ROCKLAND — Superintendent Alan Cron is pleased to share that advanced art students at Rockland High School have an art exhibit currently on display at a local business. RE/MAX Deluxe of Norwell is displaying the students’ work through March 16. The art exhibit is open to the public at RE/MAX Deluxe, 293F Washington St., Suite 1A, Norwell, during business hours, from 9 a.m. to 5 p.m. Monday through Friday. The exhibit will also be open Saturday, March 9. Visitors to the exhibit are encouraged to cast a vote for their favorite artwork. The student with the winning piece of artwork will be awarded a $500 scholarship by the South Shore Youth Foundation. The South Shore Youth Foundation was founded in 2014 by Lisa and Michael Garner, RE/MAX Deluxe owners and Rockland natives. The foundation provides financial assistance that covers registration fees for children to participate in sports, clubs and other after school activities without taking on a financial burden, and also provides funding to replace supplies to maintain quality local youth programming.